Welcome to the heart of Maribor, home to the oldest vine in the world. We are pleased to welcome you to our city hotel. Experience the wealth of urban and rural nature and live the experience thanks to our 4-star service. 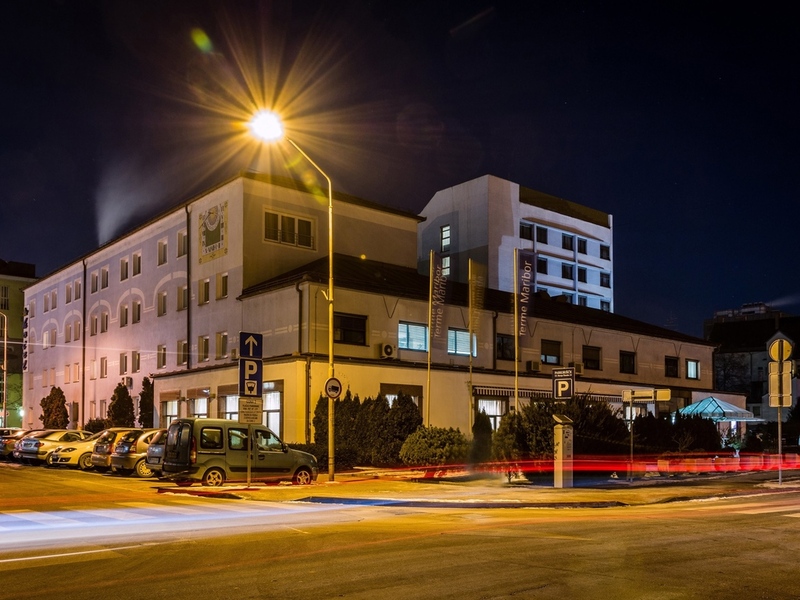 Mid-scale hotel for business trips or leisure located in the very centre of Maribor. Make the most of our location in the centre of Maribor to discover the city. This 4-star hotel includes a leisure centre, bar and cafe. Relax in one of our comfortable AC rooms, with LCD TV with international channels, mini bar and free coffee and tea making facilities. Bed linen is made of pure cotton, and a variety of pillows, towels and cosmetics. Hotel features private sauna and various types of massage treatments. Maribor, home of the oldest vine in the world! An exceptional wine-making tradition, extensive culinary offerings, fun and relaxed events, sports activities on the Pohorje Hills. Warm, welcoming and modern, with a comfortable king size beds and a practical bathroom, our rooms offer everything you need for an enjoyable stay. The guests of the Mercure Maribor City Centre can try exquisite dishes and drinks at the hotel restaurant, which is especially suitable for banquets and business lunches. Guests can spend pleasant moments enjoying good coffee and refreshing drinks at the hotel bar, which offers also a wide selection of tasty desserts.